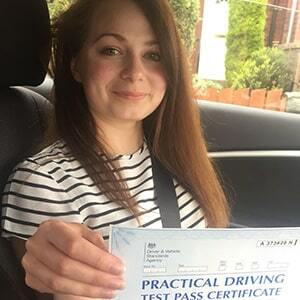 For learner drivers in Brighouse area looking to take the driving test and become fully qualified drivers, Heckmondwike test centre will be your port of call. Located on High Street, the centre can be found near Best Sandwich Shop, Dixy Chicken and Sir Robert Peel Pub. It's a good idea to get to know more about your test centre, that's why we've created a comprehensive guide below. Read on for directions, pass rates, test routes and much more about Heckmondwike. Situated on the busy A638—ensuring steady streams of traffic, no matter the time of day—Heckmondwike test centre can be found right in the centre of town. Want to have a look around before your lessons start? Directions to Heckmondwike test centre can be found here. Please be aware that the centre doesn't have parking facilities, so you'll have to park on a nearby street. Located in the Brighouse area, Heckmondwike comes with a mixed bag of road features and types. You’ll encounter residential areas as you move away from the centre of town, not to mention busier roads like the A638 and A649. This variety is ideal for driving tests—giving examiners the chance to test your skills against as many conditions as possible. Want to know more about Heckmondwike in general? Try out the resources below. You won’t be able to find an up-to-date test route for Heckmondwike, as the DVSA stopped publishing them to prevent candidates from practicing before exams. You can, however, get a rough idea of what to expect by looking at videos of Heckmondwike test routes on YouTube or by downloading our sample Heckmondwike drivng test routes. Before you start panicking, remember that your lessons will have prepared you for your big day. In fact, your instructor will have introduced you to the roads and features that they think are most likely to show up on your route. We can see why someone might be a little underwhelmed by Heckmondwike’s pass rates—they are lower than the national average. However, you should bear in mind that pass rates themselves don’t control your likelihood of passing. When it comes down to it, you’re more likely to pass because of your own ability than some random statistic. What If I Can't Go To Heckmondwike? Fortunately, there are a variety of West Yorkshire test centres that you can go to if Heckmondwike isn’t an option. The closest ones to you are Huddersfield and Wakefield. Once you get back to Heckmondwike test centre, the examiner will tell you whether you've passed or failed. Regardless of your result, the examiner will walk you through the feedback sheet—looking at any particular faults you made (if any). If you were successful in your endeavour, you'll receive your test pass certificate and hand over your provisional in order to send off for your new licence. It’s quite common for students to fail their practical test, so you don’t have to worry about being the only one. The important thing to do is listen to the feedback given to you by your examiner, and use it to improve your driving in time for your next test. 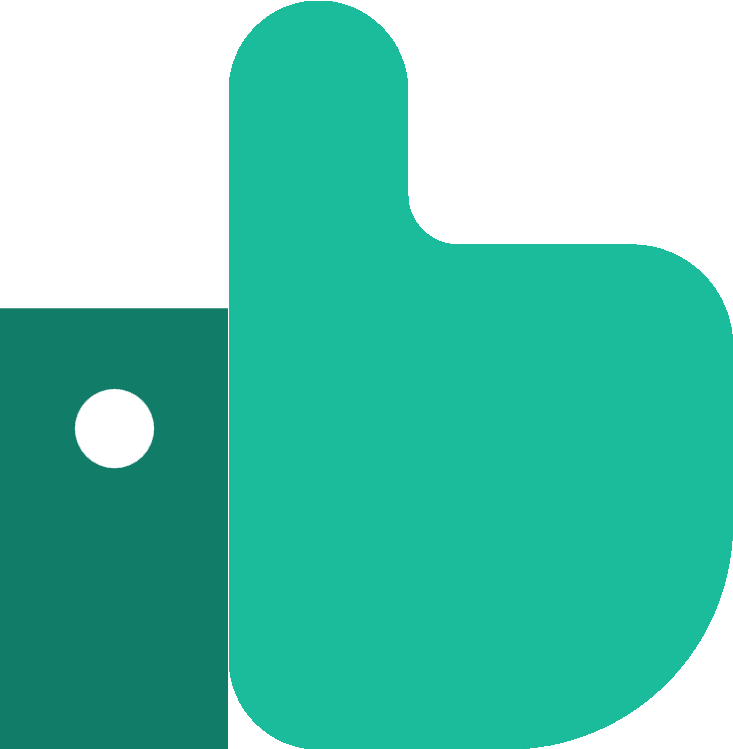 If you'd like to get booked back in, PassMeFast can speed up the process by fast-tracking your test. To get started, give us a call on 0333 123 4949, or contact us via our website to get started. 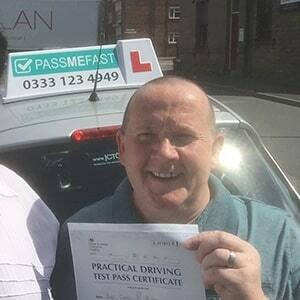 Unlike traditional driving schools, PassMeFast offers a range of intensive and semi-intensive courses where you can learn to drive in a matter of days. This is more beneficial than lessons spread out over months, in that you can build up your knowledge consistently instead of refreshing what you covered in previous lessons. We cover a variety of practical test centres and our fast-track practical tests allow you to take your tests weeks or even months ahead of DVSA waiting times. The road to driving doesn’t have to be long with PassMeFast. Contact us today on 0333 123 4949 to find out more, or check out our course prices and book a course online to take one step closer to getting on the road. Kept me informed and up to date the whole way through. Great instructor—patient, thoughtful and clear on everything you need to learn. Passed my test with 0 faults. The service I received from PassMeFast was fantastic! If you want to pass fast, PassMeFast is your best bet, fair price and very flexible with your preferences! The communication, professionalism and the speed were all 5*. I have passed on my first attempt.